Right-to-Manage Legislation : Defective Claim – Beware! In Elim Court RTM Company Limited v Avon Freeholds Limited  EWCA Civ 89 the Court of Appeal considered the consequences of a failure to comply strictly with the statutory notice procedure and whether this would be fatal to obtaining the right to manage. notice had not been served on an intermediate landlord of one of the flats. These arguments prevailed before the LVT and, on appeal, the Upper Tribunal upheld this decision. The Appellant RTM company appealed again to the Court of Appeal. Regarding inspection of the Articles of Association the Court of Appeal agreed with the Upper Tribunal holding that an RTM company had to allow inspection on at least one day on the weekend. As to the signature, the Court held there was no requirement in the Companies Act 2006 that a claim notice had to be signed by anyone in particular. Nor was there any such explicit requirement in the Forms Regulations. The Appellant conceded before the Court that it had failed to serve a claim notice on the intermediate landlord of the premises. The only issue to determine was the consequence of that failure. The Court then turned its focus to the consequences of non compliance with the statutory provisions. Regarding inspection of the Articles of Association the Court opined that failure to allow inspection on one day at the weekend was only a trivial failure of compliance. There was substantial compliance with the legislation in so far as the articles were available for a modest copy fee of £5. As to the signatures, if it was wrong about this issue the Court held it would have no hesitation in holding that the consequence of non-compliance was not fatal. With regard to the failure to serve the claim notice on the intermediate landlord although it was true that an intermediate landlord was entitled to serve a counter notice, the Court held that not giving a claim notice to everyone who is entitled to receive one would not invalidate the claim notice without more. 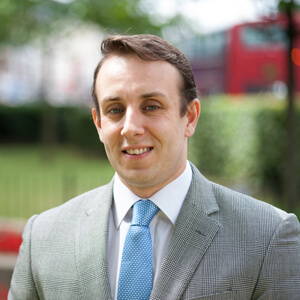 If you are landlord seeking to challenge a right to manage claim or you are looking to acquire the right to manage and require advice, please contact Adam Palmer on 0207 354 3000.